Learn more about completing this degree online. Our graduates work at the Center for Alcohol and Drug Services, Chicago Police Department, Families of Northeast Iowa, FBI, J&I Polygraph Investigations, and more. Earning your master's degree in criminal justice will be an interactive experience delivered by expert faculty. Coursework is balanced and multi-faceted so that you can achieve the career and leadership role you desire in law enforcement, security, corrections, or human services. Intended for the working professional in criminal justice, students can complete this degree totally online and within two years. Courses include topics such as criminology theory, justice statistics, research methods, crime policy analysis, leadership, ethics, and more. The curriculum addresses social justice topics including race, class, gender, and their impact on the criminal justice system – from arrest through sentencing. In addition to coursework, your degree culminates with the creation of a portfolio that consists of term papers, exams, and class presentations which document all that you've achieved. 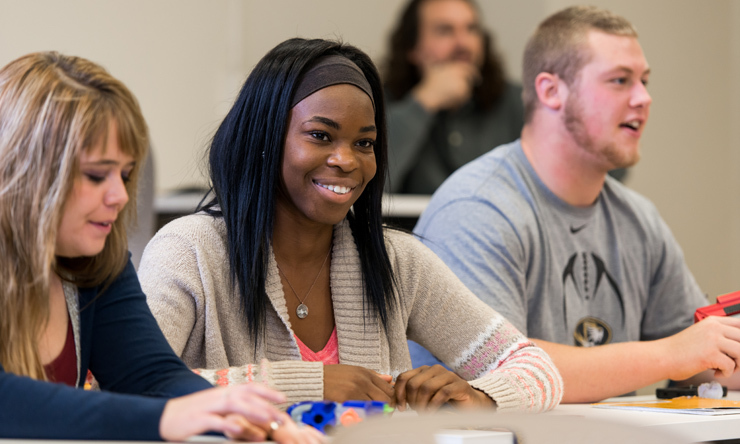 If you are interested in a seamless transition from undergraduate to graduate studies, our Criminal Justice program offers an accelerated BA-MCJ program to qualified students, allowing them to earn both degrees in five years. If your goal is to earn a graduate degree that focuses on analytics, data interpretation, and crime analysis, learn more about our Master of Science in Criminal Justice program. Students regularly submit their thesis work to conferences, for publication, or as evidence for a PhD application. Recent thesis titles include: "How Virtual Visitation Effects Criminality" and "Baselines for Racial Profiling." 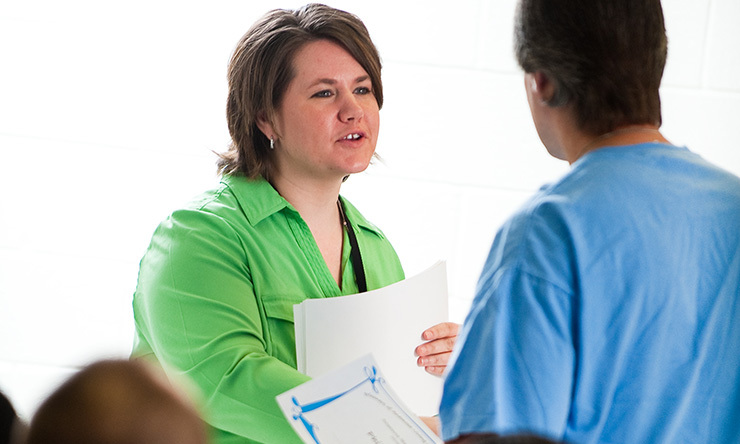 Students can design their own course of study – within structured guidelines – for achieving a Criminal Justice master's degree. This personalization allows students to tailor their education and meet career goals. A capstone class provides you with guided review of areas that will be covered on the comprehensive exams, including a review of statistics, methods, theory, and practice. Best of all, our faculty share their experience in the classroom. They have extensive backgrounds in corrections, law, criminology, sociology, education, human services, and law enforcement. Many do consulting and conduct grant-funded research. Past research projects have focused on the treatment of women in the criminal justice and the prison systems; counseling and offender treatment; recidivism and treatment at halfway houses; gender issues and treatment; and the effect of race and gender in decision making. Maricela Guzman '06, '11 MCJ, is an Adult Probation Officer with Rock Island County (Illinois) Court Services. She interned there as a SAU student and says the opportunity led to the job. She provides resources and referrals to people, empowering them to become productive members of society. Kim Anh Hua '12, '13 MCJ is an EB-5 Case Manager for CMB Regional Centers in Rock Island, which handles immigrant investing. What is tuition for this program? Students must maintain a "B" average in all courses. Only two "C" grades are allowed with each offset by an "A." All courses plus an achievement portfolio must be completed. Students are expected to make steady progress toward completing the degree within three years. All courses are three credits each unless otherwise noted. Courses are delivered online and last eight weeks each. Note: Fall 1 refers to the first eight weeks of the semester; Fall 2 refers to the second eight weeks. Take the next step toward earning your master's degree in Criminal Justice and apply to our program. Current Occupation: Investigator at Cooney and Conway, Chicago | "I loved the small class sizes," he said. "I loved the sense of community. St. Ambrose felt like home on the first day, and it has been so ever since."